The Apetorku Shrine (or Gbodzi in Ewe) is the heart of the village. It is where members go for spiritual and physical healing and to receive protection from evil influences. It has a very active program of Sunday workship, daily pledges and vows, and it celebrates two major festivals at Easter and at the end of October. 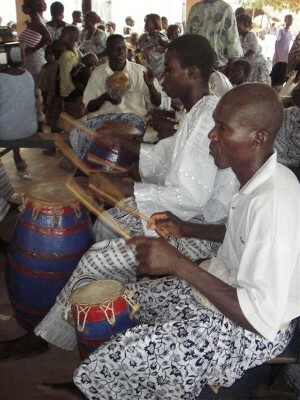 Traditional drumming and dance are a big part of shrine rituals. Adherents worship Apetorku, a god belonging to the Vodu African traditional religion. Vodu is an often misunderstood but profound religion that teaches self-discipline, unity and peace. The shrine is also the impetus behind community development projects such as electrification and water, and in this way it serves an important social role. The chief priest and a dozen assistant priests conduct the rituals and administer the shrine. Below is an interview of Hunua Yao Dunyo, the Chief Priest of the shrine. Hunua Yao Dunyo - Chief Priest of the shrine, installed 48 years ago. Is also Acting Chief of the Village of Dagbamete and former President of the Ghana Psychic and Traditional Healers Association. Agbadada Davor - Shrine Mother, appointed 8 years ago. 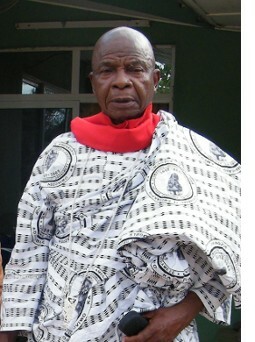 Ngorgbea Kofi Davor - Assists the head priest in performing rites at the shrine. Appointed 13 years ago. Humegbeda Kwasi Dunyo - Appointed 20 years ago. Gutsoa Afaxoe Amenorhu - Appointed 38 years ago. Agbatua Mensah Dzeamesi - Appointed since the past 53 years. Tsyiami Kwasi Davor - Appointed 20 years ago. Amadala Normegbor Davor - Appointed 47 years ago. Assistant priests: Mawuenyegah Dzeamesi, Kofi Amenorhu, Adzoyi Dunyo, Adodo Amenorhu, Kojo Davor. Visitors are always welcome to join the shrine's public services and festivals. Annual Festival (Agbowuwu)- Commences the evening of Easter Saturday and lasts for 8-9 days. Mid-Year Festival (Talulu) - Last Saturday in October and lasts for 2-3 days. The shrine secretary is Sammy Davor. 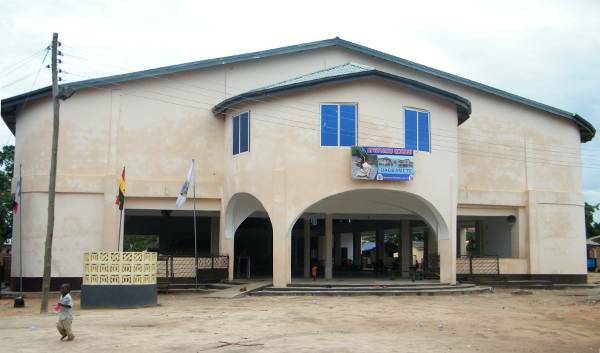 Also branches in Koforidua, Denu, Akatsi, Afife, Ohawu, and Ho.